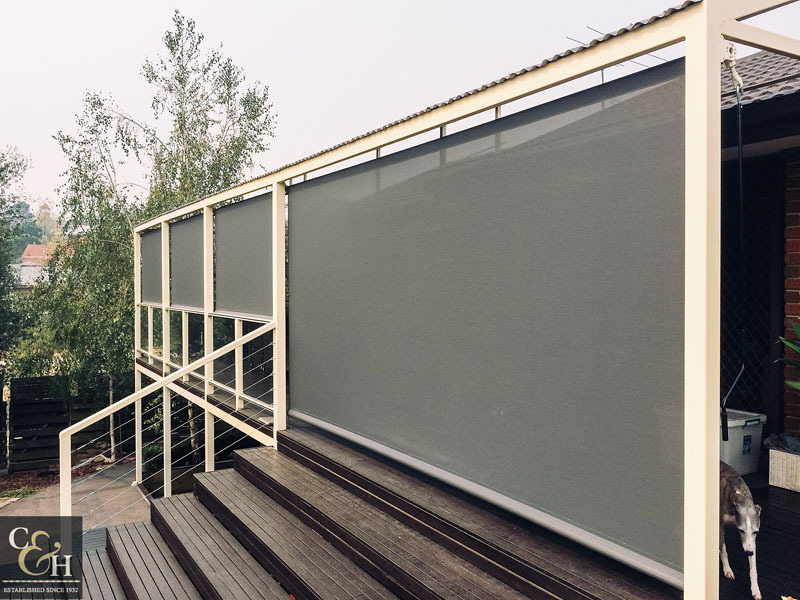 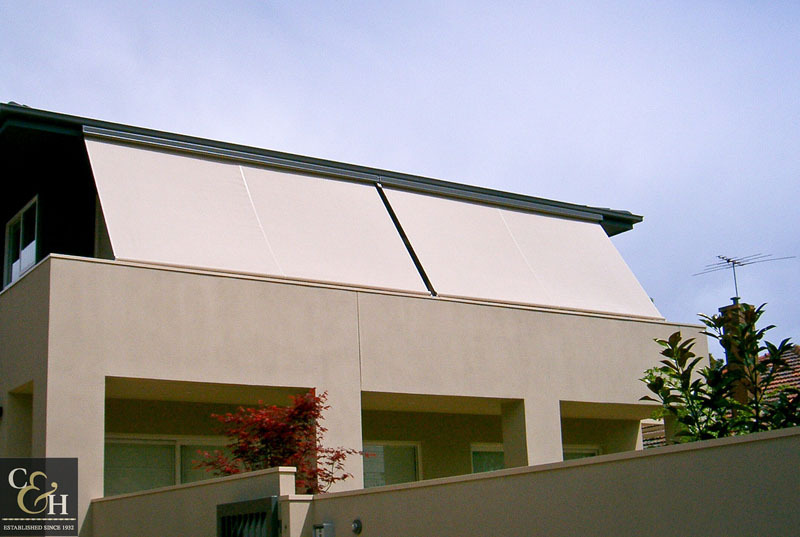 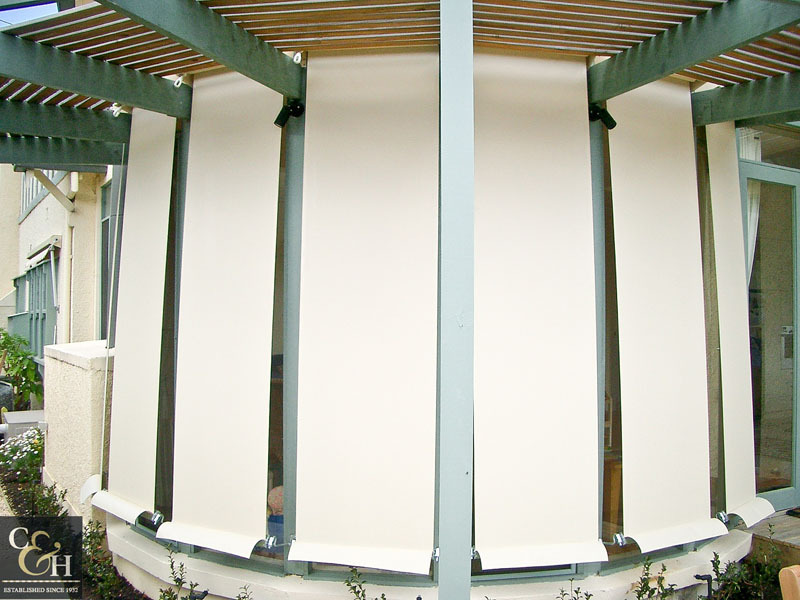 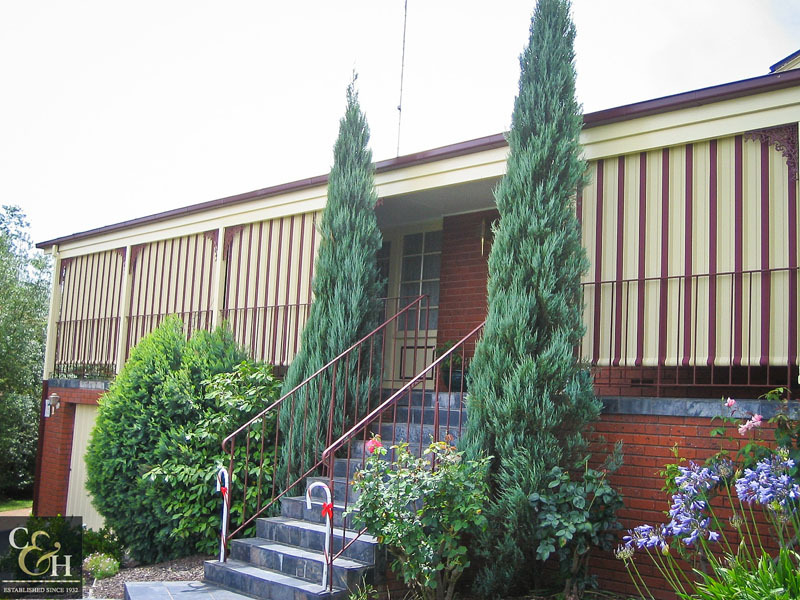 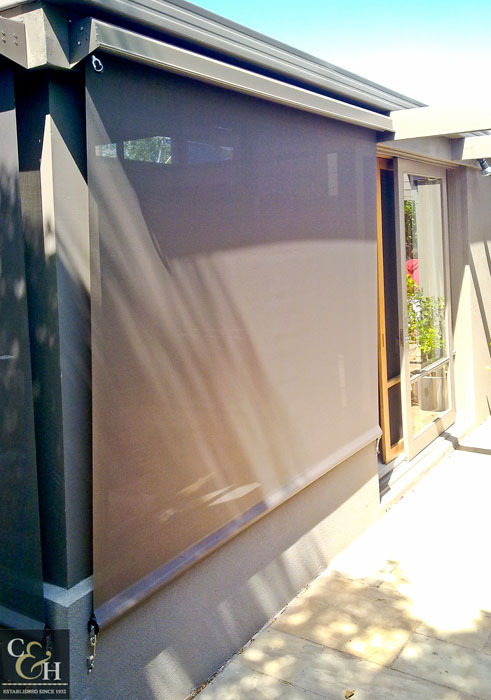 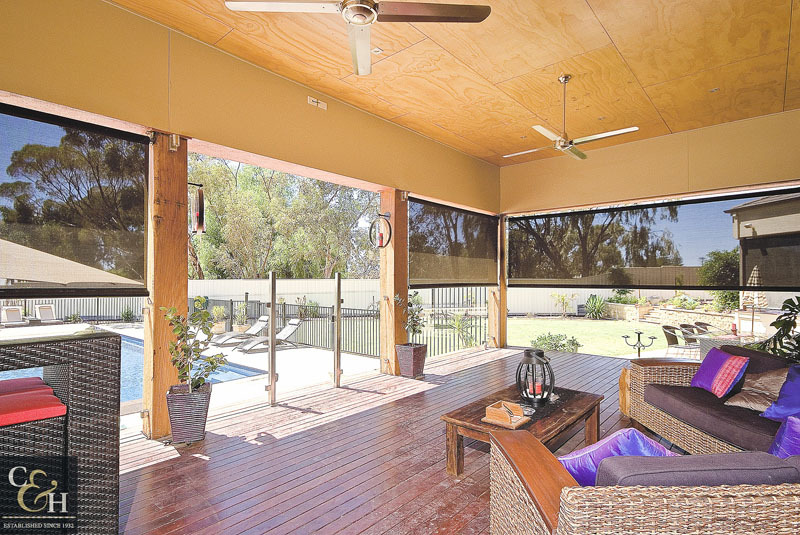 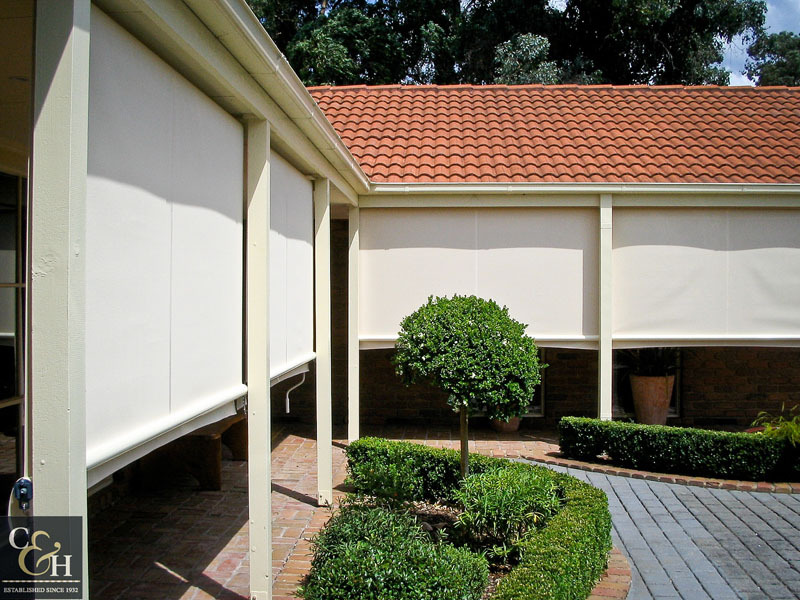 For a more streamlined modern take on sunblind awnings, we can manufacture your external blinds to drop straight down. 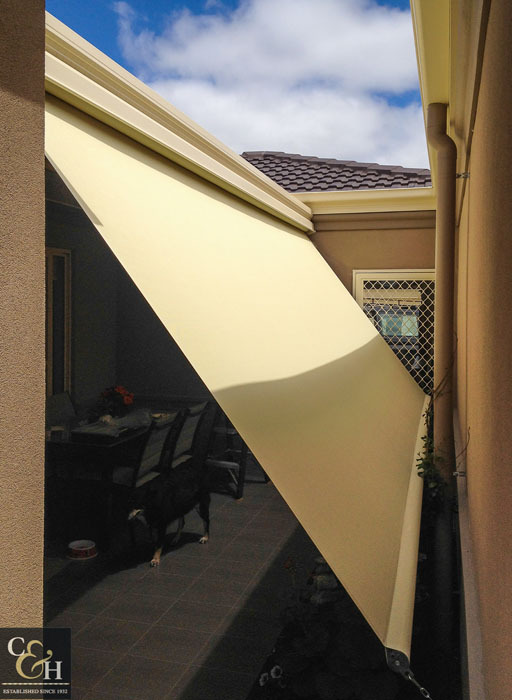 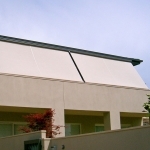 The geared straight drop awning is versatile, robust and easy to use shade system. 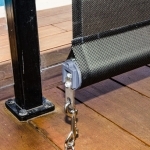 When wound, the fabric is released straight down by the weight of the base rail. 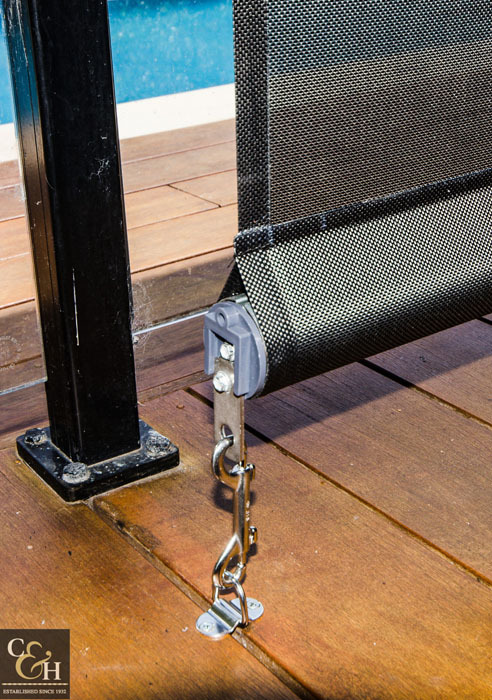 This is then ‘clipped off’ with our custom clip system, at the ground or half waypoint, to secure the blind against movement in the light wind. 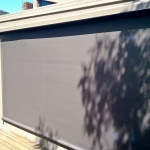 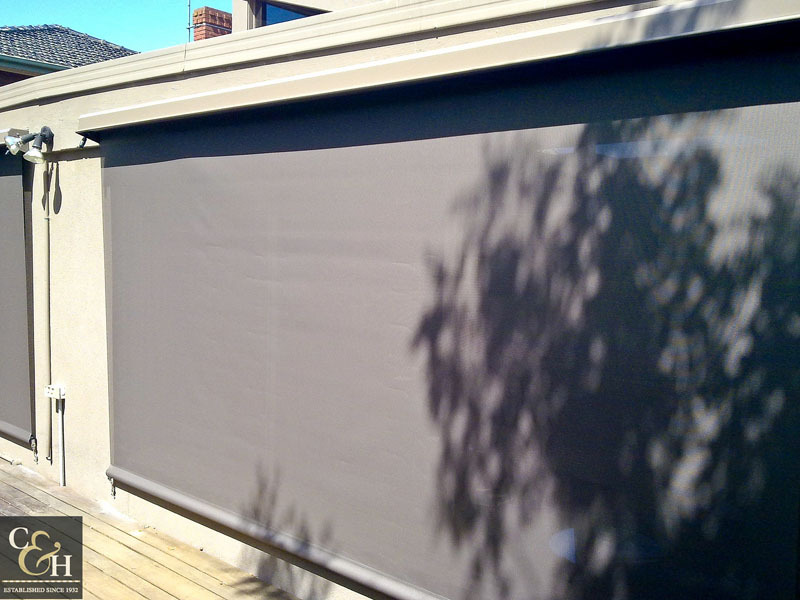 This creates a barrier for some rain and wind and depending on the fabric, sun protection too. 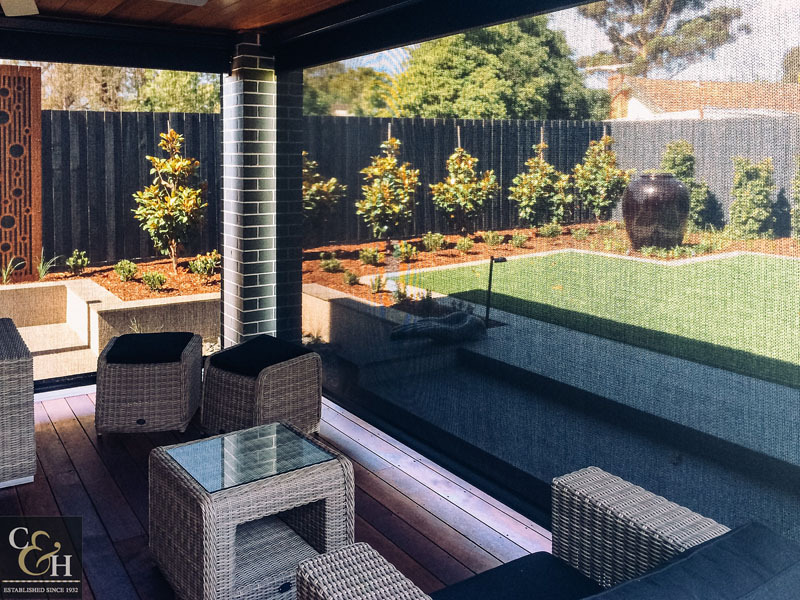 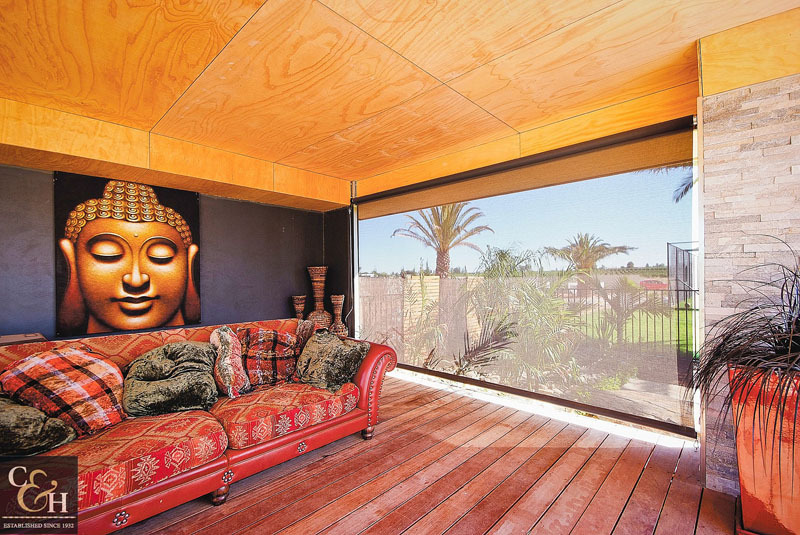 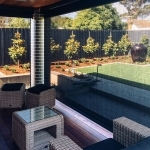 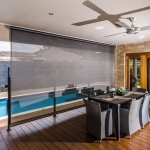 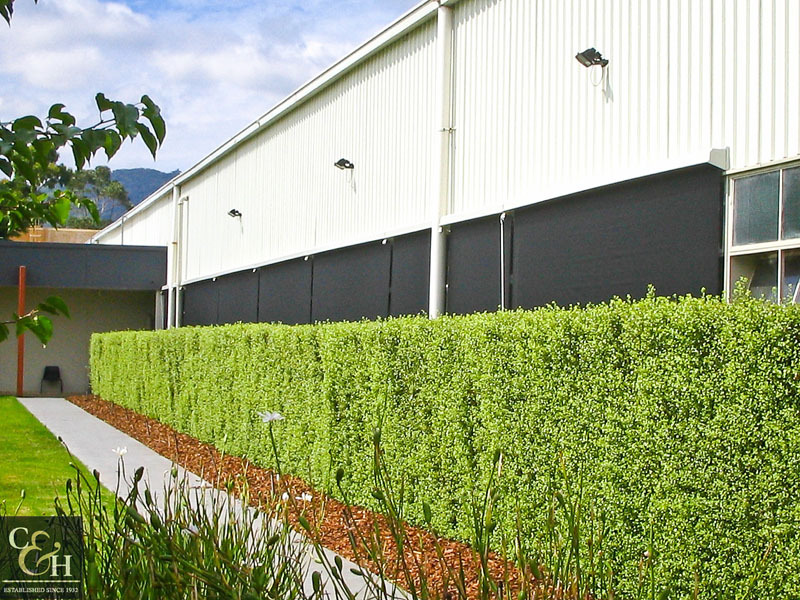 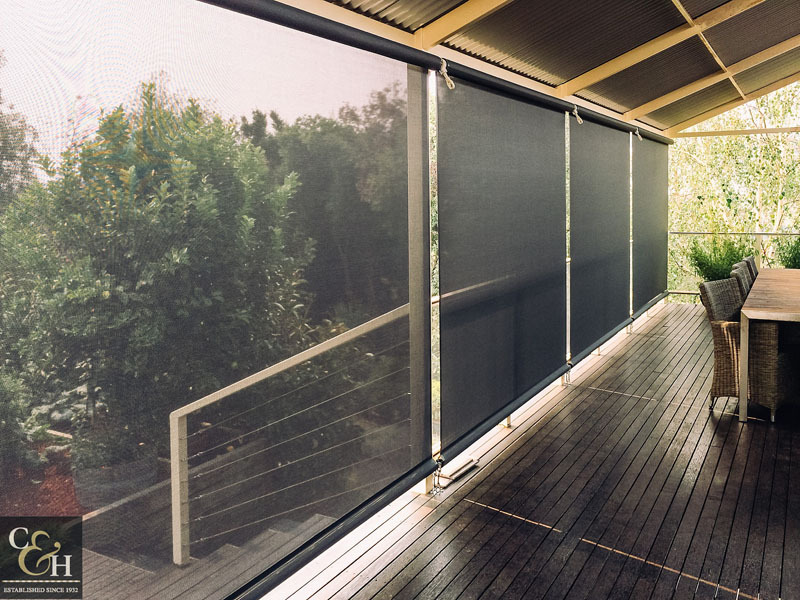 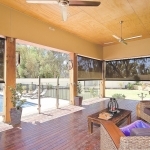 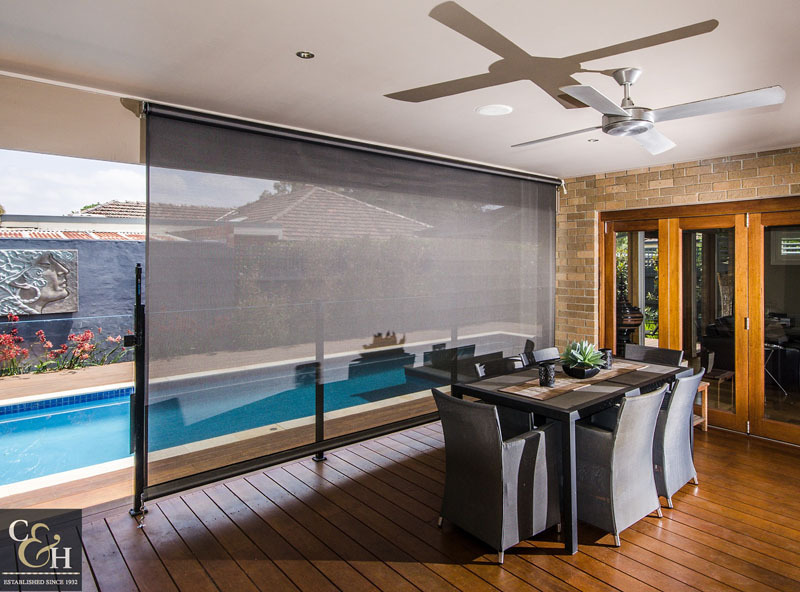 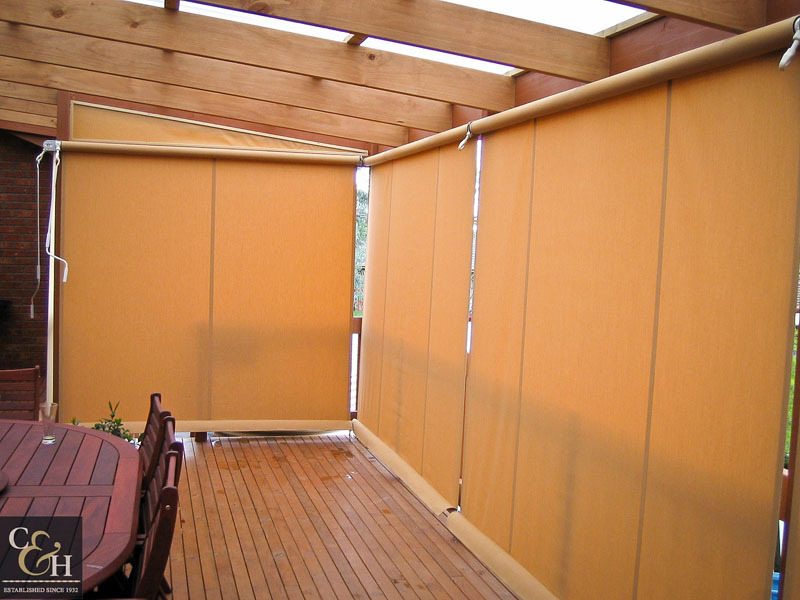 Perfect for enclosing your pergola, verandah or deck area and enhancing your living and entertainment spaces. 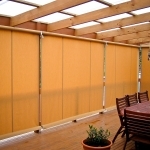 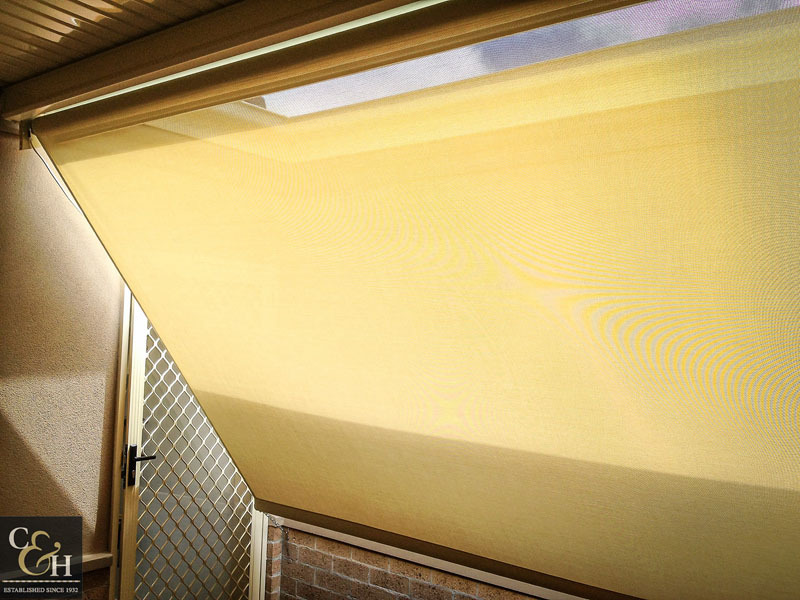 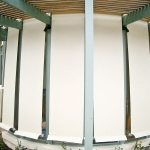 These blinds are maintenance free and very hardwearing. 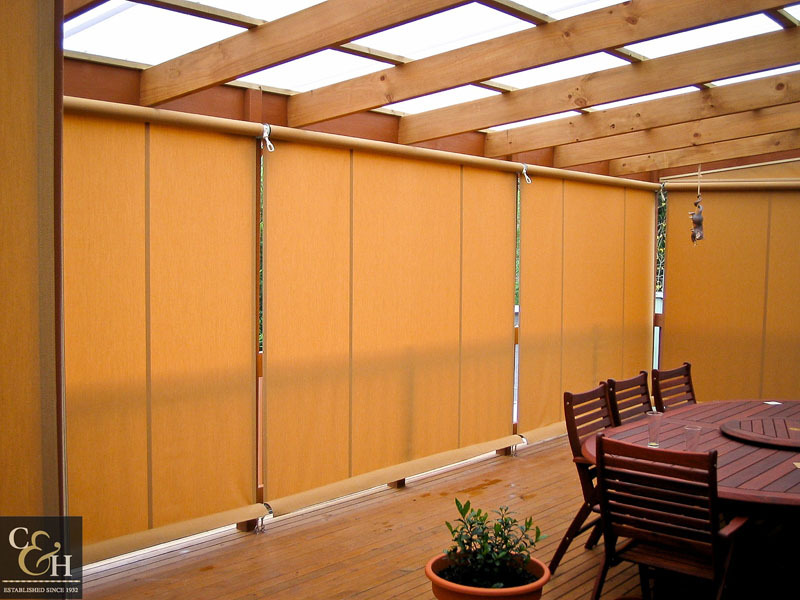 Custom made to a huge range of sizes, these practical blinds will look great in narrow long spaces and can also cover wide widths as well. 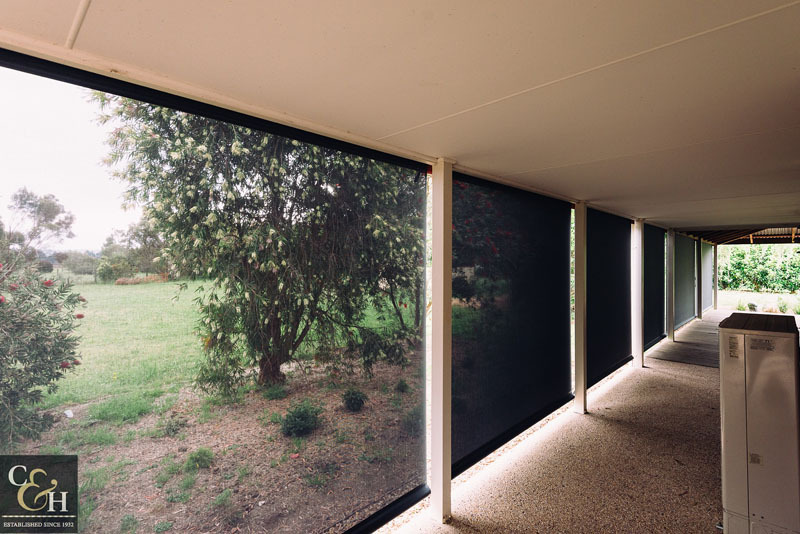 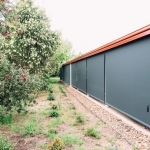 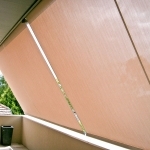 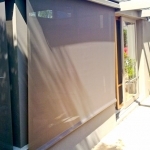 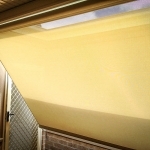 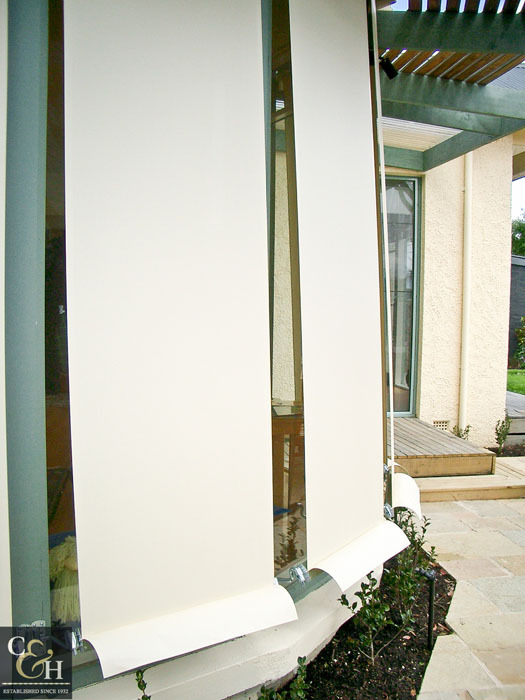 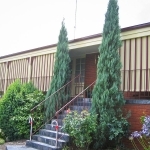 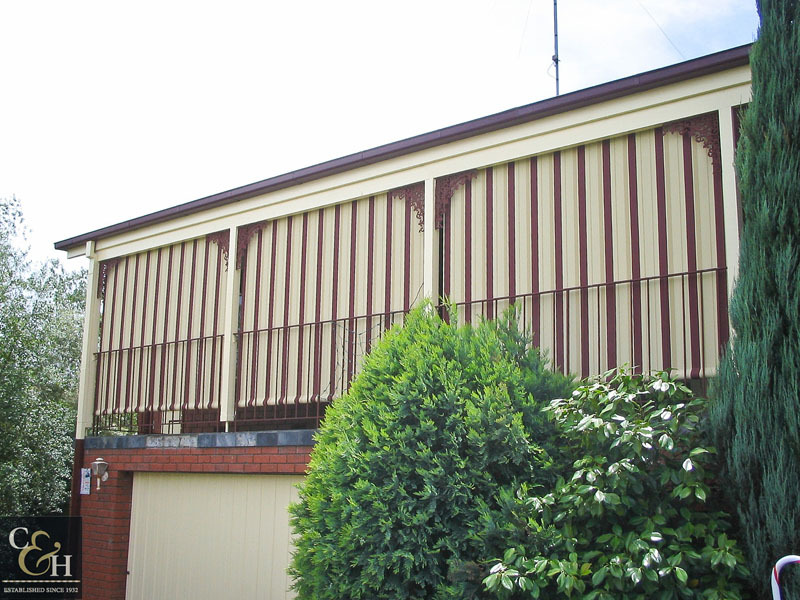 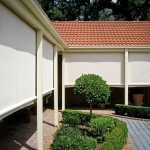 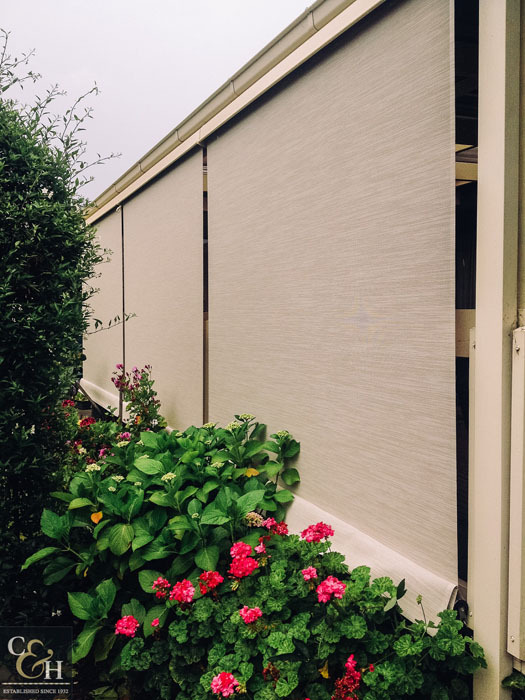 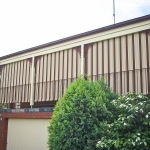 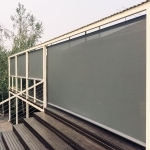 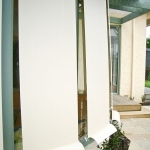 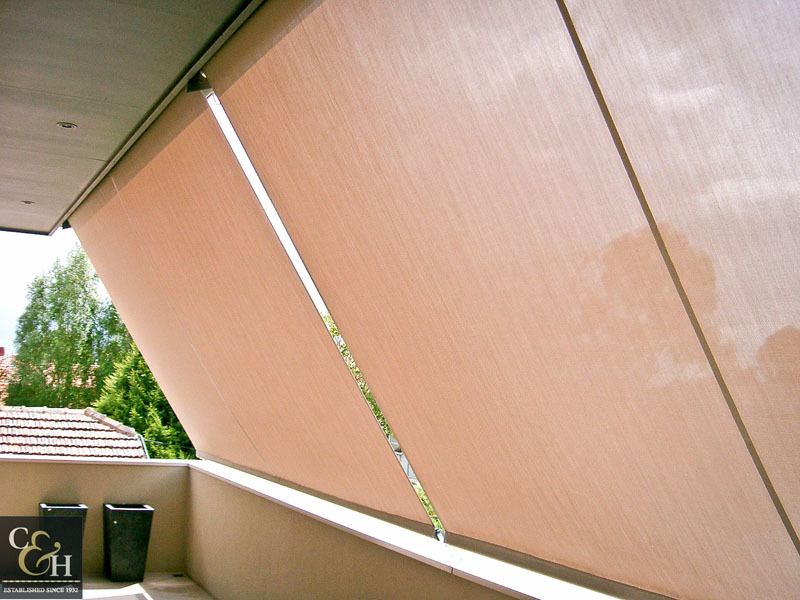 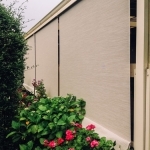 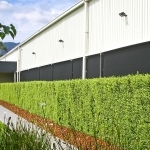 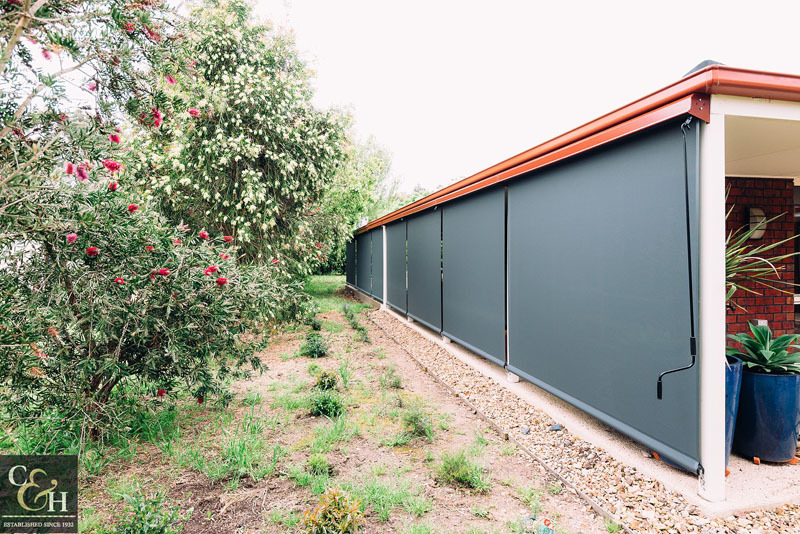 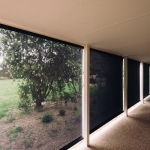 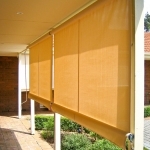 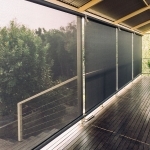 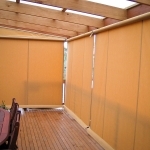 When wound up, the blind is either supported by end brackets, or protected under a Colorbond hood. 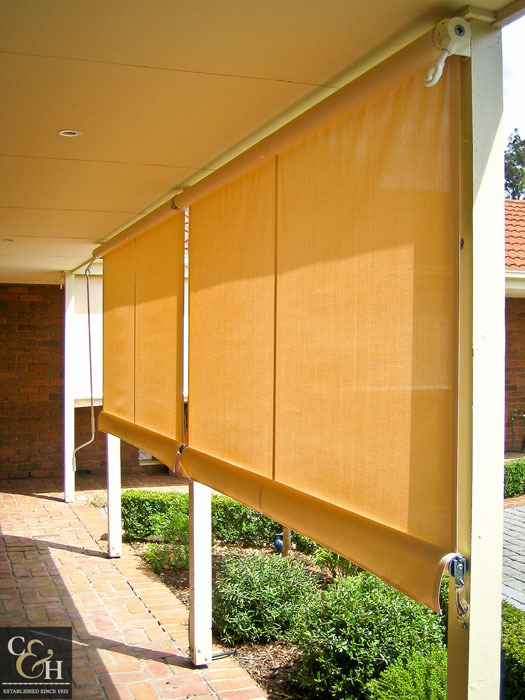 Geared Straight awnings can be guided with cables, guides, or tracks and can be operated by remote control or hardwire motor. 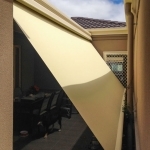 Contact us today for a free quote or any other enquiries on style and ranges of outdoor awnings.